Send your letters to: info@constructionreviewonline.com Construction Review is published eleven times a year and is circulated to members of relevant associations, governmental bodies and other personnel in the building and construction industry as well as suppliers of equipment, materials and services in Africa, the Middle and Far East. The editor welcomes articles and photographs for consideration. Material may not be reproduced without prior permission from the publisher. The publisher does not accept responsibility for the accuracy or authenticity of advertisements or contributions contained in the journal. Views expressed by contributors are not necessarily those of the publisher. © All rights reserved. REGULARS Editor's Comment	3 Corporate News	4 Association News	5 Events 6 Product News	7 Management	8 Opinion - Lights Out! Published by Group Africa Publishing Ltd Head Office: Consolidated Bank House, 4th floor, Koinange Street, Nairobi 00100 Kenya, Tel: +254 772642042, +254-20-2213607 Email: info@groupafricapublishing.com Uganda Agent Projects Unusual Uganda Ltd. Jemba Plaza, Luwum St. Kampala, Uganda Tel: +256 776 883181 bettykatongole@yahoo.com Botswana Agent Cadline (Pty) Ltd. P/Bag 494 Gaborone, Botswana. A Laser Distance Meter wins on every count: speed, accuracy, safety, versatility, convenience and functionality. financial pressures. Not all African governments have the capacity and resources to maintainand, improve airports and one solution to the problem is to consider making them autonomous to facilitate the necessary expansions. VINCI to build a pumped storage hydroelectric plant in Morocco French-based VINCI Construction Company has been awarded a US $346m contract to build a pumped storage hydroelectric plant (PSP) in Morocco near Agadir. The project, which consists of storing energy in hydraulic form, is part of the development and integration plan for renewable energies in the country. It includes execution studies, construction of civil engineering, supply of equipment and transfer equipment, assembly, testing and commissioning of the station. The civil engineering works The civil engineering works carried out by the construction company will also include the excavation of two basins, the digging of the production plant installed on the hillside and buried, the installation of the transfer pipe over 3km, of which 1km is buried. Access to the facilities for the site and for the future operation of the site also requires the creation of new roads and the rehabilitation of several others. RIEGL has became the proud recipient of the 2017 MAPPS Geospatial Products and Services Excellence Award. This prestigious award was bestowed upon the RIEGL miniVUX-1UAV miniaturized LiDAR sensor for unmanned laser scanning in the Technology Innovation category at the 2018 MAPPS Winter Conference. The RIEGL miniVUX-1UAV is a user-friendly and cost-efficient device to acquire survey-grade measurement data by use of remotely piloted multi-rotor, rotary-wing, or fixed-wing UAVs for a variety of applications. The RIEGL miniVUX-1UAV provides high speed data acquisition using echo signal digitization and online waveform processing, based on RIEGL’s sophisticated Waveform-LiDAR technology. Its excellent multiple target capability achieves superior measurement results, the 360° field of view allows complete acquisition of the environment, and its well-designed housing supports mounting, even with restricted weight and space requirements. Leading supplier of specialized equipment to the natural gas industries in Southern Africa, Energas Technologies, has entered into a distribution agreement with R Schmitt Enertec, a German manufacturer of gas engines, generator sets and co-generation sets, to offer Enertec’s highly efficient power generators to the local market. R Schmitt Enertec’s range of highly efficient and innovative power generators is now available in South Africa and the neighboring countries through local supplier Energas Technologies. Depending on customer requirements, Energas will offer Enertec’s wide range of generator sets with or without heat recovery and co-generation; the ENERGIN, ENERGIN GEN+ and ENERGIN CHP units, ranging from 115 to 500 kW. ENERGIN generator sets are designed for power production in island or parallel mode with other generators and/or the utility. a job name and number, and can be emailed directly to the customer, or shared with the project office, in addition to being stored digitally for reference purposes. “The new Stabila Measuring app provides for improved design, functionality, and intuitive operation,” Upat National Product Specialist Charl Weber comments. Measurements can be transferred wirelessly from the lasers to a smartphone or tablet, making it possible to document projects on-site, and to communicate this critical information directly to the project team. is connected to the national grid. to the award of such contracts. such as distributed power and solar home systems. economies and neglecting their own. Energy minister Irene Muloni and US ambassador to Uganda Deborah Malac checked out the exhibition booths and delivered addresses. UK High Commissioner Peter West and Power Africa officials were also there. Uganda’s per capita electricity consumption of 157 kilowatt hours (kWh) is considerably lower than the sub-Saharan Africa per capita average of 552 kWh and the global per capita average of 2,472 kWh. By 2020, the government aims to achieve a national electrification rate of 30% through new onand off-grid connections, and to increase per capita consumption to 578 kWh. CESA to focus on effective ethical leadership this year The consulting Engineers of South Africa is set to focus on effective ethical leadership with the theme of ‘Our Future is Now’ as a theme for this year. According to the newly appointed president Neresh Pather, the world of the future can only be changed and facilitated through the leadership of today embracing the true purpose of service to humanity. “Change can be effected if we believe in it and work hard enough to achieve it and that with great leadership we can succeed. We need to ensure that all South Africans and Africans are given a fair chance to further their contribution to our continent. We need to allow for practices to address the imbalance of the past for this will take many, many years to address”. Planned programs of employment creation, skills development and encouraging trade relations with our neighbor’s, developed and emerging countries should be accelerated,” he said during the presentation of his presidential message and theme for the year. The Nigerian Institute of Building (NIOB) has urged the Federal Government to evolve a definite policy to engage local professionals and indigenous contractors for involvement in the capacity development of industry practitioners. According to the NIOB President, Mr Kenneth Nduka, this has become imperative because of the ever-changing socio-economic and technological environment. “The Federal Government should show greater faith in exploring how best to add good value to societal expectations for policy making undertakings to be advantageously harvested,” he said. He further added that professional institutions like the NIOB have to be rightly situated as lighthouses guiding the members, the industry and general public from bad practice, corruption, indiscipline and bad governance. The president also pledged that the management and administration will be subjected to periodic audit and scrutiny to sustain administrative effectiveness and improve operational governance. Mr. Nduka also expressed his disappointment at the lack of political will on the part of all levels of government to effectively situate and enforce a statutory provision that would professionally drive activities in the built environment sector. for the commercial, residential, hospitality, and other real estate development projects. share their expertise, as they connect with one another. and innovative solutions – from marble, granite, tiles, ceramics, wall covering, flooring products, paints, carpets and other surface design materials at the show. Meet new suppliers from 18 countries and learn from over 30 hours of CPD accredited sessions at the conference and network with your industry peers. KOHLER presents CERIC and VEIL, a new age in freestanding baths These new showstopper baths from Kohler are bound to impress. John Deere has announced the new 204L and 304L compact wheel loaders, which are specifically designed to increase uptime and deliver higher productivity to customers. These models are built for professionals who frequently work in small spaces and on rough terrain. The 204L packs 62 horsepower, while the 304L delivers 67 horsepower while in use. Both models are equipped with Final Tier 4 Yanmar engines, and they have hydrostatic transmissions that keep noise to a minimum. Operators can also opt for ride control, which can reduce material spillage and create a smoother ride over uneven terrain. “We’re packing more productivity and efficiency into the wheel loader with the release of our L-Series models,” said Drew Miller, product marketing manager of compact wheel loaders with John Deere Construction & Forestry. “Perfect for year-round use, these workhorses were designed to take on tough jobs from warmer summer months to snowy winter conditions, while enabling the use of a versatile attachments portfolio when you need them.” The wheel loaders also have self-adjusting park and service brakes, as well as ground-level maintenance points for easy access. They include extended service intervals for engine oil/filter, final drives oil and hydraulic oil as well. Operators can opt for an enclosed cab or an open station with these loaders, both of which provide 360-degree visibility. contours that cocoon your body. to 167 square meters per hour. and easy to clean. This technologically advanced material allows for new geometries, textures and designs to emerge. Each bath is carefully shaped from one, solid piece, ensuring structural integrity, and the lightweight material allows for easier transport and on-site installation. than 180 degrees working range on the boom,” he says. DD110C double drum asphalt compactor. is built with rugged components and simplified electronics. or under-compaction and allows them to react quickly to the density results, rather than waiting for a nuclear gauge or core sample. With the onboard display’s Impact Spacing Meter, the operator can control the compactor’s speed and maintain the correct impact spacing, even when following a paver traveling at 60 feet per minute. The DD110C runs on a 148-horsepower Volvo D4 Tier 4 Final engine and delivers 3,800 vibrations per minute. unique industry. Extensive knowledge about the industry can often be the difference between a successful project completion and delays. The following are a few tips that can be highly useful to a construction PM to ensure project management success. Effective Communication Communication is a very important tool for the success of practically every project out there regardless of the industry. Nevertheless, effective communication is one of the most critical elements to the success of a construction projects in particular. The PM needs to make sure that there is constant and consistent flow of information not only on the ground but also with the stakeholders and supplier; in every single phase of the implementation of the project. With everyone on board, the implementation process will be much smoother and this will make it easier for the PM to solve any problems if or when they arise. Continuous Planning The implementation of a construction project can be surprising at times because things may not go as initially planned. The PM is likely to encounter situations that may force him to make changes on the initial plan. Therefore, he is expected to be as flexible as possible so as to make changes on the fly as aspects of the project unfold. As a matter of fact, he may need to refine, revise and keep developing new plans through the implementation process to ensure the project is successful; keeping in mind that even the slightest of changes can have a significant impact on the overall outcome of the product. Pay attention to complaints from stakeholders or colleagues, and other warning signs, like a missed deadline or cost overrun, that there may be a problem. Preventing a crisis will keep your project running smoothly, save you a lot of time, and keep you, your team, and your stakeholders confident in progressing with the project. Manage your expectations Too many projects are doomed to fail from the beginning because of unrealistic expectations. Setting impossible deadlines and assigning too much work to your colleagues will surely result in sloppy work and often missed deadlines; which will in turn throw your project off course, necessitating patch-up work, timeline extensions, eroded stakeholder trust, and a frustrated team. Understanding your workers will help you know their strengths and weaknesses. This can assist you in assigning tasks based on each colleagueâ&#x20AC;&#x2122;s skillset. Delegating tasks to the right person is very important because success relies on how well team members can execute their tasks. frica is rich in resources and opportunities. However, poor governance is the cause of Africa’s energy crisis. In so many fields, however, the continent is yet to hit its stride, often because there is not enough political will to manage resources better and create necessary incentives. Africa’s energy crisis is a prime example. Two-thirds of Africans – 620 million people – still do not have access to “affordable, reliable, sustainable and modern electricity”, one of the key global development goals. Decades of neglect and mismanagement have left Africa with some of the world’s worst-functioning grid systems. Africa’s energy deficit continues to stifle economic growth, job creation, agricultural transformation, and improvements in health and education. To achieve the Sustainable Development Goals in Africa and globally, it is essential that the continent’s leaders face squarely the global energy “trilemma”: how to power the socio-economic transformation of their countries by providing electricity that is reliable, clean and affordable for all. power grid’s reach are included in the planning and development of T&D networks. Theft and the role of governments The problematic power situation is exacerbated by corruption and mismanagement, as well as theft and vandalism. In our report, no finding shows the paucity of governance in the energy sector more starkly than the fact that in several countries a proportion of electricity theft – a problem across the continent –is carried out by organizations that are nominally part of the government, including the armed forces in some countries. The analysis in Lights Power Action: Electrifying Africa shows that most electricity theft in Africa is carried out not by people too poor to afford electricity, but by people and organizations that consume large amounts of electricity and could pay for it, including government, corporate, industrial and commercial groups. This reality emphasizes why power provision is a highly political issue and an essential governance challenge in many African countries. According to Kofi Annan, “poor energy governance reflects the wider governance deficit that threatens to derail development efforts in a number of countries [but] where there is good leadership, there are excellent prospects for energy transition”. The APP calls on Africa’s leaders to tackle the vested interests and networks of political patronage that are preventing many public energy utilities from providing optimal service in the national interest. The Panel also urges all governments to put in place integrated plans and policies to scale up Africa’s energy transition. In addition to enhancing and rolling out the grid, within countries and across borders, these plans should include incentives to invest in off-grid and mini-grid systems, protect consumers, and facilitate demand among disadvantaged groups. “Traditional approaches to extending the grid are no longer viable as the main option for African countries”, Mr. Annan has said. “They will take too long and will not meet the needs of our growing economies and societies. Instead, governments and their partners need to seize the opportunity to re-imagine their energy futures”. As Lights Power Action highlights, the recent rapid progress of countries such as Côte d’Ivoire, Ethiopia, Morocco and Rwanda in improving electricity provision shows just what can be achieved. It’s time for Africa as a whole step up the pace today to create a bright new energy environment tomorrow. The African passenger’s aviation industry has faced a number of changes in recent years. Firstly, the domestic, intra-and intercontinental traffic increased from 41.2 million passengers in 2002 to 127 million passengers in 2014 at an average growth rate of 16%; this is according to the International Civil Aviation Organization (ICAO) report of 2013. The Africa-Europe route, with approximately 1.2 million weekly nonstop return seats in July 2016, had by far the highest passenger share in the total international traffic to and from Africa. The second largest intercontinental market is the Africa-Middle East route 800,000, followed by Asia 90,000, North America 50,000and Latin America 12,000. This growth has been driven by sustained economic growth rates and increased urbanization in Africa and a paradigm shift, albeit a slow one, towards a market-oriented system that emphasized the liberalization of air transport services on the continent. Moreover, the Yamoussoukro Decision entered into force in 2002 creating a comprehensive policy framework with the stated aim of liberalizing air transport across Africa. Air traffic growth in the African hub airports can also be attributed to liberalization policies that their respective countries have pursued in recent years. In fact, Egypt, Kenya, Nigeria and South Africa, like an increasing number of African countries, have in recent years adopted a more liberalized approach to bilateral air services agreement, allowing for multiple designations of airlines and an unlimited number of frequencies. 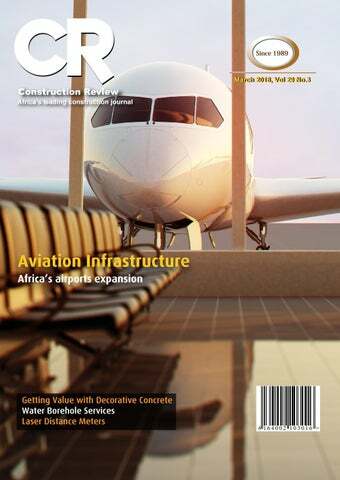 Moreover, the International Air Transport Association (IATA) projects a 5.1% growth in passenger numbers across the region by 2035 where nearly 300 million passengers will travel to and from African destinations and as a result, airport development projects today are mushrooming across the continent. Majority of airports in Africa are undergoing expansion in a bid to cater for rapidly growing passenger and cargo traffic volumes. expansion plans were announced by several governments hosting regional hubs. In North Africa, Algeria budgeted US $952 million and Egypt US $18.5 billion on airport work. Nigeria budgeted US $1.07 billion in West Africa, and Rwanda US $650 million. In Southern Africa, Angola set aside US $2.1 billion for airport expansion, and Zambia committed US $500 million. Ethiopia Ethiopia’s showcase Bole Airport in Addis Ababa, opened in the early 2000s, is already seeing a US$ 250 million expansion. When completed, the facility will be one of Africa’s largest airports, handling 120 million travelers annually, the same capacity as Dubai and Heathrow airports. Bole International Airport is truly a regional facility, and 70% of passengers are transit travelers who never leave the airport but change planes for other destinations. Additionally, Ethiopia’s Gambella Airport has recently installed a US$1.3m advanced Air Traffic Control (ATC) tower that directs aircrafts during takeoff and landing.The Ethiopian Civil Aviation Authority (ECAA) constructed the tower with the aim of expediting the movement of the increasing traffic jams at the Airport. “The project experienced delay for some times due to security issues of the Airlines hindering easy and flexible access to the construction site,” said Habtamu Ashine, Aerodrome Engineering Section Supervisor, during the handover ceremony of the project, held on September 20, 2017. Along with Gambella, the construction of six more towers are underway, and eight towers Gode, Bale Robe, Assosa, Kombolcha, Semera, Shire Endasillassie, Jinka, and Hawassa to commence in the future. This will be a category two runway that conforms to international standards,” said Mr. Andersen.The current JKIA’s traffic capacity stands at 89%, thus it is necessary to expand its capacity as soon as possible. According to KAA, the technology of the proposed facility will meet the International Civil Aviation Organization’s (ICAO) category II specifications. The technology will also enable operations in bad weather thus avoiding diversion of aircraft.The project is an ICAO code F runway which can handle the new generation extra wide bodied aircrafts such as Airbus A380 and Boeing B747-800. Kenya East Africa’s primary tourism destination, Kenya, is set to spend US $358m on construction of a new runway at the Jomo Kenyatta International Airport (JKIA) in Nairobi. Johny Andersen, of the Kenya Airports Authority (KAA) says that, on completion, the project will reduce mishaps on the path as it will nearly double the aircraft movement from 25 to 45 aircrafts per hour. “The runway will be an upgrade of the existing one (which was built in the 1970s). Zambia Zambia is currently renovating and expanding the Kenneth Kaunda International Airport. The project which will cost US $360m is progressing well with construction of the new rescue and fire services expected to be completed within the course of this year. Additionally, in 2020 JKIA expects to handle slightly over 17million passengers annually. The growth is also expected to accelerate to 35million by 2030. JKIA Greenfield Project rest rooms, fire station, office blocks, kitchen, restaurants, waiting rooms, laundry facilities, service shops, kiosks and car park, among others. It will service the Copperbelt and North-Western parts of the country in tune with the region’s economic growth and travel needs. According to Zambia’s president Edgar Lungu, the government has prioritized the expansion of transport infrastructure as it is critically essential for sustained growth and socio economic transformation. “For us to achieve diversified and resilient economy as espoused in the seventh National Development Plan, we have to build a well function transport system, the project is a fulfillment of the patriotic front’s commitment to infrastructure development as one of the key priorities and strategy for accelerating our country’s socio economic development,” he noted during the commissioning of the CIA project. Egypt In North Africa, Egypt has recently unveiled the newly refurbished Cairo International Airport Terminal 2 at a cost of US$436m by the Turkey-based Limak Holding. The renovation, which was launched in response to the rapidly increasing passenger traffic at the airport, will increase the terminal’s capacity to 7.5m passengers per year from the previous 3.5m per year. Cairo International Airport Partly funded by the World Bank, the renovation was aimed at further enhancing Egypt’s air transport sector, which is crucial to the country’s economic development. It will improve the quality of services, and reiterate the airport’s role as a regional hub. It will also allow the airport to handle large-body aircraft such as Airbus A380, Super Jumbo and Boeing 747. According to Olivier Le Ber, the World Bank’s Lead Transport Specialist, the refurbishment aims to support Egypt to improve the quality of airport services and strengthen its air transport capacity. “Having a good and reliable airport is very important for tourism which is an important sector for job creation and for bring foreign exchange revenues,” he said. All African countries have agreed to ‘open skies’ aviation treaties that will bring uniformity to pricing, routes and air space use fees. When these commitments are actually put into practice, African air travel will expand exponentially, driven this time by African travelers flying within the continent and not just international travelers on longdistance flights. With cut throat competition between countries in a bid to become the hub of choice for airline traffic it remains to be seen if the ambitious expansion of African airport will match those of developed countries. For now, it is clear that the continent is set to benefit greatly with the current quest for expansion. those two events, and converts this to a distance. The formula is simple: Distance = Ä (Speed x Time). However the speed of light is 300,000 km per second, so to resolve differences of (say) 1 cm, the meter must measure time intervals of the order of billionths of a second. But don’t worry – the technology is well established and reliable. A laser distance meter can measure distances of up to 30m with an accuracy of É3mm. An Ultrasonic Distance Meter works on a similar principle, but instead of light it uses sound with a pitch too high for the human ear to hear. The speed of sound is only about ⅓ of a km per second, so the time measurement is easier, but there are other issues, as we shall see below. such as time-of-flight, phase comparison and the pulse back-mixing method. These individual methods allow measurements accuracy to the millimeter, and measuring ranges up to several hundred meters. Natural and manmade surfaces/objects Using laser distance sensors or laser distance meter, you can measure on natural surfaces or reflectors and obtain fast and precise results. The laser distance meters operate using visible or invisible laser radiation and are rated as eye safe in compliance with laser class 1 or 2. The devices arecompact and locust allowing for various applications including construction, industrial both indoor and outdoor. All of the devices offer common standard interfaces, analog or digital data output, and parameterizable switching outputs. Besides laser distance meters for industrial applications, there are also extremely compact and high-performance laser distance meters (“laser rangefinder” based on diode- or solid-state lasers) for deployment in defense and security technology. A Laser Distance Meter is accurate to within a few millimeters, certainly equaling a tape for larger distances, and the line is always dead straight; no bending or sagging. You have a choice of units, and there is no risk of misreading, as with the intermediate marks on a tape. The Laser Distance Meter is much faster; point, click, and you have the result in front of you on the display. The job is done in just a fraction of the time it would take to use a tape. You donot need to walk to and fro, or have a helper at the other end. What is more, you can use it with one hand, leaving the other free to hold your notebook. With a backlit display and the laser dot itself, you can use your Laser Distance Meter in relatively poor lighting conditions. The measurement taken can be exported to your smart mobile device or laptop via Bluetooth. The drawing or plans can be prepared thereafter. frican corporates have made great strides in the adoption of electronic based physical security systems. Residential developments are now joining the train with a storm, as the world heads to Smart homes. Mobility has also enabled accessing, monitoring and controlling spaces from anywhere in the globe. Traditionally, premise access was based on lock and key. Access control systems are an electronic evolution of the traditional padlock, these systems dictate who when and how entry into any space will be made. With the evolution of the internet protocol (IP) and developments in software, computing and storage system, Access control is now a converged IP system, operating in the realm of information technology. This revolutionaries’ access control easing the way we manage entry into our spaces. The decorative concrete advantage: • Cost savings by eliminating traditional floor coverings and using the slab on grade as the finished floor. • Reduced maintenance and longer service life. • Better resistance to moisture and heavy foot traffic. • Good light reflectivity. More big-box retailers are choosing decorative concrete as a finished floor as opposed to high-maintenance floor coverings or coverings that can fail due to moisture exposure. Many smaller retailers find that stained concrete floors are not only attractive but also very cost effective. Polished concrete is another popular choice for interior floors, especially in educational and medical facilities, because they create an attractive, lightreflective, easy-to-maintain durable surface. concrete because of reduced long-term maintenance and care. Over time, pavers often become loose or they settle, resulting in tripping hazards. Replacing existing pavers with new ones can create undesirable aesthetics because the colors rarely match. The decorative concrete advantage: • No more loose or settled pavers that require resetting or replacement. • The elimination of tripping hazards that increase liability for parks and resorts. • Stamped concrete is safe, easy to maintain, and has a long service life. time, reducing the indoor air quality. Green building with concrete can contribute to sustainability in other areas as well by providing thermal mass and improving light reflectivity. Light-colored concrete pavements have also been proven to reduce the urban heat island effect by improving solarreflectivity values. The decorative concrete advantage: • Reduced energy requirements. • Conservation of resources. Concrete itself is made primarily from recycled materials and contributes to sustainable building. • Better indoor air quality. On your next construction project, try applying a value-engineering approach to your design process and the selection of materials. You will often discover that decorative concrete is the best choice. Hi-Tech decorative cementitious surfaces for prestigious spaces Having completed impressive projects in over 80 countries world-wide, Ideal Work is a European leader in the production and development of decorative cementitious finishes. With an extensive range of high quality and technologically innovative systems, Ideal Work offers the possibility to create luxurious wall and floor finishes for both interiors and exteriors: residential, tourist, hospitality, commercial, public, private, institutional or cultural. Through passion and know-how, Ideal Work has been able to transform cement into a versatile, adaptable and attractive option for creating very aesthetically pleasing yet durable finishes. Ideal Work also offers certified application skills training and has a full technical and sales support structure for its clients. Onsite compressed air on demand With recent advances in construction-specific rotary screw portable compressors, contractors are guaranteed of a steady supply of compressed air onsite for various uses in construction projects. he oil-injected portable single-stage rotary screw compressorhas become an indispensable tool on construction sites in Africa, wherever and whenever contractors need compressed airto power heavy tools, as an alternative to stationary compressors. Though, it is also often misunderstood equipment.Unsurprisingly, it is not uncommon for wrong equipment to be used for applications, with very costly results. Concisely,Construction Reviewunderlines topical information about portable compressors sourced from OEMs that target the Sub-Sahara African market. User-friendly control Firstly, functionally, there is not much difference between the electric-powered rotary screw compressors and oil-injected portable rotary screw compressors. However, in comparison with a stationary electrical screw compressor, a portable compressor has a pneumatic control system, with minimum amount of electronics. On the other hand, modern stationary compressors are manufactured with feature control panels with sophisticated microcontrollers and lots of settings and options. Safety devices Safety is one of the most important features of portable compressors, bearing in mind that they are engineered to work in explosive or flammable environments. As a bare safety minimum, the portable compressor has safety devices for low oil pressure and/or oil level and too high temperature. Safety features like safety shut off valvesto and spark arrestor to prevent the diesel fumes from causing fire explosionare standard. Endurance and reliability Robustness, strength and reliability are essential features in portable air compressors that are used in tough industrial environments.In particular, citing one area, the compressor has to be made of strong components like high-quality air filters. Capacity range Portable air compressors come in all shapes and sizes. Typically driven by diesel engines, the size of the engine and the compressor depends on the air flow that is required and the air pressure. Usually, portable air compressors can deliver compressed air ranging from 7 to 12 bars. Specifically,what do I need a compressor for? What kind of compressor do I need? What is the right capacity of the compressor to serve my needs? Does the manufacturer offer back up services and sufficient replacement parts? CompAir portable compressors Fuel cost produce high pressure air while offering low operating costs. Backed by a worldwide service network, genuine spare parts and total expertise, technical support and advice. CompAir – quality, innovation, reliability. Mobilization of equipment then follows and the actual drilling gets underway. provider. The client may also influence some elements. Drilling of 11â&#x20AC;?until loose top formation and installing 9â&#x20AC;? temporary casing, then drilling 8â&#x20AC;? up to recommended depth. water related equipment in the East African region. but may vary with the hole. Rwanda, South Sudan and a partnership in Ethiopia. Capping: A cap is fitted over the hole until installation of pump. This company offers borehole equipment and service. yield of the well, rest level and pumping water level. reel pump sets as well as firefighting and sprinkler sets. and control gears and accessories. suitable for domestic/industrial use or not. Completion Report: A completion report is then filed with WRMA and a copy availed to the client. SERVICE PROVIDERS Apex Boreholes & Engineering Company Apex Borehole & Engineering Company is one of the companies involved in borehole business. The Nairobibased company that operates not only in Kenya but also the larger East Africa region undertakes hydrological surveys, Environmental Impact Assessment (EIA), borehole drilling and equipping (installation of pumps). The company is well equipped and staffed to carry out these services. It boasts four rigs, three pump testing units, five terameters for survey, four engineers, five geologists and over 10 support staff. Technical Manager Harrison Mackenzie dispels the misconception that borehole drilling is an expensive undertaking for the client. He reckons that it really depends on the purpose of the borehole. “If it’s water for irrigation, that is an income generating business; if it’s real estate, that is a multi-million shilling investment”, he says. He adds that the average cost of a borehole (Ksh 2 million) is reasonable. Boreholes are drilled for many uses including industrial, irrigation and domestic consumption. ne of the main reasons to automate windows is that of convenience. Not all windows are located at reachable height and may need a pole to operate, in some larger rooms and corridors many windows may need to be opened, so clearly an automated solution is preferable. On securing premises in the evening, automated systems can ensure all windows are closed prior to setting alarm systems. Other benefits can include ‘night time cooling’ strategies, when premises may not be occupied, and an automated solution can operate above ground windows on a time switch basis. The integration of automated windows into a complete building management system can ensure the most efficient use of energy. It is crucial that the ventilation strategy is decided at the outset of the design process. By adopting either a completely natural ventilated solution or a hybrid mixed Mode solution with mechanical cooling for in only the harshest of weather conditions, can significantly reduce a buildings running costs. How do we achieve the ‘automation’? A window ‘actuator’ is usually an electrical device which is placed on the leading edge of a window to open and close a window to various degrees as required. These come in Three basic types, a ‘chain’ actuator, a ‘rack and pinion’actuator and a ‘linear’ actuator. Chain actuators are the most compact and operate by pushing a one wayfolding chain out from a flush motorised housing fitted to the frame or opening light. In areas where windows are much larger, linear and rack pinion actuators, based on fixed ‘screw’ and motor principle may be used. Whilst These Devices May Seem To Be Simple, Window Actuators Do Come In A Very Wide Range Of Sizes And Typical Offer The Following Choice Specification: Voltage: Either in 24V DC or mains 230V AC ratings. Where smoke control is required 24V DC actuators are used so that these can be operated from an independent battery back-up in case of fire and power outage in the building. Load Usually indicated in amperage and is very important to consider when specifying a complete system. Often cheaper units are less efficient and require greater loads which results in an increase of control panels to operate at the higher amerage, not to mention the increased energy requirements. Force Indicated in Newtons (9.81 N = 1Kg) and required to open and close the window safely in all weather conditions. Referring back to efficiency, the available force within the unit should be as efficient as possible to reduce the amperage required. Some larger windows may need two actuators to perform correctly. Stroke This is the distance the actuator travels creating the safe opening of the window normally indicated in millimetres. Speed Indicated in millimetres per second. This is an important consideration in smoke ventilation situations where smoke vents must fully open with a 60 second time limit. Size Units vary in size depending on their specification but housings are very important to be considered when looking at the space available within the reveal, the size of the vent and the stroke required. Intelligence: Some basic actuators rely on simple switches to limit and run the actuator motor, where occupant intervention is required. Some more sophisticated devices offer resistance feedback and information on where the actuator is within its cycle by the use of incremental volt measurement. The most important aspect of all these variables is getting the right actuator in the right place to do the job most effectively with the minimum of maintenance. As mentioned earlier it is crucial to get a specialist involved at the very early design stages to determine the most efficient product and designs available. Leaving the choice of actuator to the lowest common denominator â&#x20AC;&#x201C; cost, can have a serious detrimental impact on an installations performance and on-going maintenance requirements. ater is a heavenly gift, which is unfortunately not always available. Cape Town is experiencing its worst drought in 100 years and has only 60 dayâ&#x20AC;&#x2122;s water left. Two consecutive years of water crisis has left almost 40 million people at risk in 17 African countries. The Horn of Africa is facing its third consecutive year of devastating drought, decimating crops and livestock, causing famine and disease. social and economic impact. Poverty is one of the root challenges in the water sector, manifesting itself in the inability to pay for water services. The adverse effect on poor or jobless households has to be considered, because if one cannot pay upfront, one is unable to access water. There are advantages, though. After initial push-back from civic organizations, prepaid metering is gaining acceptance. The benefit is that the consumer can budget and plan ahead to avoid unexpected bills or penalties for over-consumption. Payment can now be made electronically. Utilities do not have to maintain expensive billing systems and related staff costs and bad debts are eliminated. However, this solution has a high cost of equipment and infrastructure and requires higher qualified staff instead of lower paid meter readers. Prepaid vendors require expensive infrastructure to operate their systems, which is recovered through added vending fees. It is essential to monitor meters constantly to ensure the integrity of the system. Unmonitored meters can easily be bypassed and taken off the grid without being noticed. Another risk is vandalism. Due to the inability to pay for water, users may damage meters to get free water. Post Paid Metering Conventional meters require very little maintenance and initial installation cost is much lower than pre-paid meters. However, the infrastructure required for reading and billing is labour intensive and costly. Meters are only read once a month and unequal reading periods makes it difficult to apply statistical analysis. Most leaks are only detected or reported when disputes arise. Authorities lose approximately 40% of potable water due to leaks and other losses (non-revenue water) so timely reporting is essential to curb losses. The risk for both parties is over-consumption which may lead to the inability of the consumer to pay, resulting in bad debts, penalties and fines. The Future A compromise has to be found as there are pros and cons for conventional and pre-paid systems. Effective water management has to consider the social needs, requirements and convenience of communities. A combination of conventional pre-paid and restrictions may be a solution, incorporating a tariff system with subsidies for poorer areas. anlam Tower, a state of the art eighteen storey office tower designed by GAPP Architects & Urban Designers, is setting new standards for high rise building construction in Kenya. According to Peter J. Muller, who oversaw the construction on behalf of GAPP Architects & Urban Designers, the building draws upon lessons learned on previous projects to create a timeless design that will appeal to many generations while remaining appropriate to its life cycle. “It was designed to be constructed quickly and within the allocated budget, but keeping in mind its functionality and durability after completion.” Located along Waiyaki Way in Nairobi, the tower is envisaged to grow Sanlam’s global brand presence within Kenya. “The building hosts an eighteen storey office tower with a lettable area of 15,000 square meters, a four storey basement parking,as well as a three storey above-ground parking silo. The building is designed to have standby generators for backup power supply and a bore hole to supplement water supply,” said Muller. and perfumed tablets,” he added. urinal system was not implemented. adjusted to optimize water usage. proposed the use of waterless urinals. rise and ventilate the room,” demonstrates Muller. meet the highest of international standards,” said Muller. glazing system breaks in the event of a fire,” he added. to do piping in order to have enough water,” says Muller. by infrared beam,” he added. Visibility Multiple elements within the design are subtly used to create a unique synergy between classical proportions and modern forms within the tower faรงade. The aluminium shading fins, while reducing solar glare and heat gain, enhance the vertical proportions and aesthetics of the building. At night, these fins along the eastern and western faรงades will be illuminated to create a glowing effect, emphasizing the vertical lines and patterns, while the light tower on top of the structure forms a glowing crown that can be seen from a distance. Main entrance The main entrance to the building is accessed via a large roundabout with a unique water feature at its centre, characterised by a series of large granite cubes. A central atrium around the reception area stretches four storeys high, creating a grand entrance and sense of generous space within the building. apartments spread out on 6 blocks each having 11 floors. the relatively quiet area of Nairobi. meters while the 1, 2 and 3-bedroom units measure 50, 85 and 110 square meters respectively. owners to customize their interiors to suit their tastes. balcony. There is a high window to wall ratio. start from 4.5m, 7.5m and 8.5m respectively. and ample children’s play area. scheduled for completion in May 2020.
whenever is outage from the utility provider. Parking is available in the ratio of 1:1.5. Directory A Directory Of Construction Related Material & Service Providers. Are you listed? Tenders Construction Tenders In Africa Check them out. 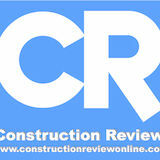 Digital Copy Construction Review monthly digital copy Subscribe NOW!